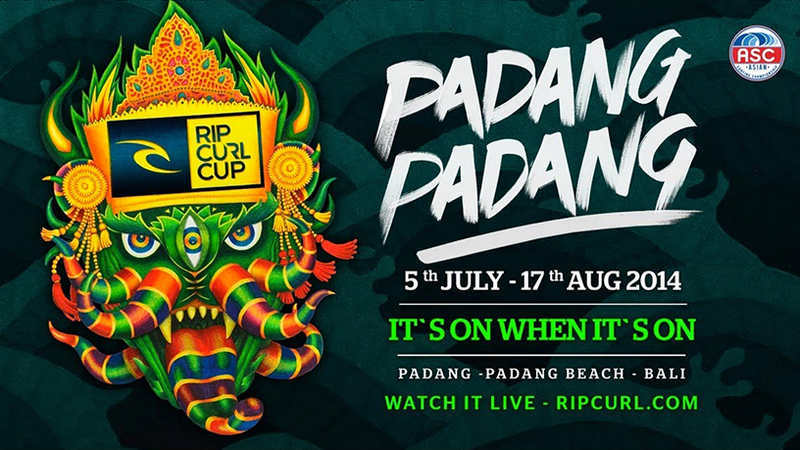 The 11th edition of the Rip Curl Cup Invitational at Padang Padang will run from July 5th to August 17th. Green barrels of the Balinese Pipeline often referred to as "the best" will see 24 rather than 32 competitors this year: 12 international icons and 12 of Indonesia's finest barrel masters in man-on man heats. The Rip Curl Cup Padang Padang is Indonesia's longest-running surfing competition and the first invitational contest to feature top international surfers alongside Indonesia's best. It's the ultimate tube riding contest and a "one-day, one-swell" event. The six week waiting period ensures catching an epic swell. When contest directors see an ideal "Padang swell" in the forecast, they will give the green light and the competitors will have 24 hours to make it to Bali's Bukit Peninsula.